Attention Bloggers, Authors, and Etsy shop owners! Are you looking for new followers and to bring traffic to your evergreen content? 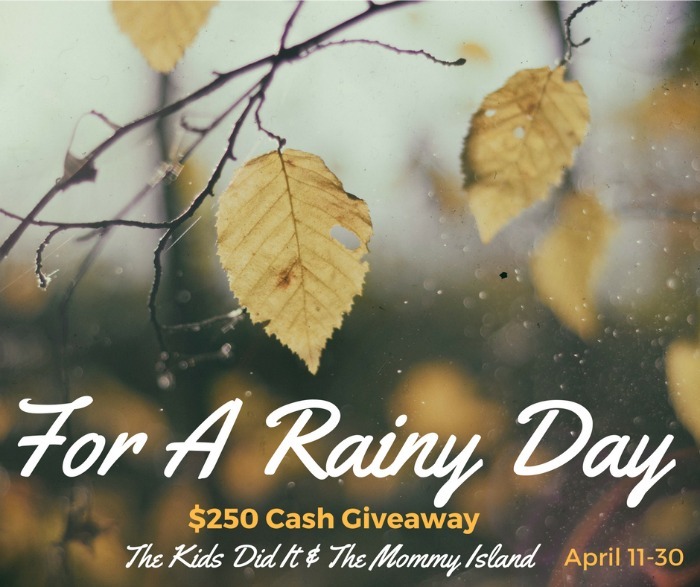 Join our upcoming Rainy Day Cash event and you can feature the post of your choice! Placement on the Rafflecopter will be in the order of sign-ups. The sooner you sign up and pay the higher you are on the form. Read more about the details and how to join below! Gain exposure to your Etsy shop, blog, or book(s) and grow your social media. Everyone will be listed as a sponsor of this event. See our previous cash events in January and December! This event will be open World Wide! There is a thumbnail linky below to add one of your posts related to Spring, Easter, Mother's Day, Father's Day, Summer etc. This can be a recipe, craft, DIY, review, giveaway, book, etc. The first entry will be to comment daily on any of the posts on the linky. WHEN YOU SIGN UP ADD YOUR BLOG NAME AND IMAGE TO THE LINKY. THIS IS HOW YOU'RE LISTED AS A SPONSOR. *The linky is set to add and delete your links at any time.